An optical sensor of mechanical tension (blue) inserted between E-cadherin (green). 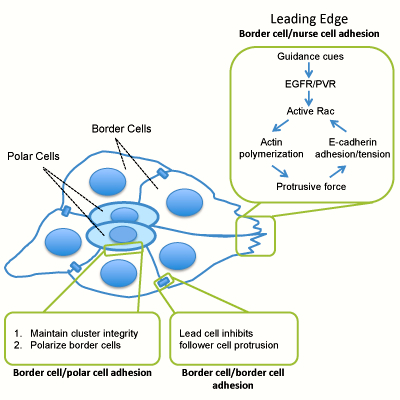 The multiple roles of E-cadherin in a border cell cluster migrating from left to right. What do sled dogs and cell clusters have in common? According to research by UC Santa Barbara’s Denise Montell, they both travel in groups and need a leader to make sure they all follow in the same direction. 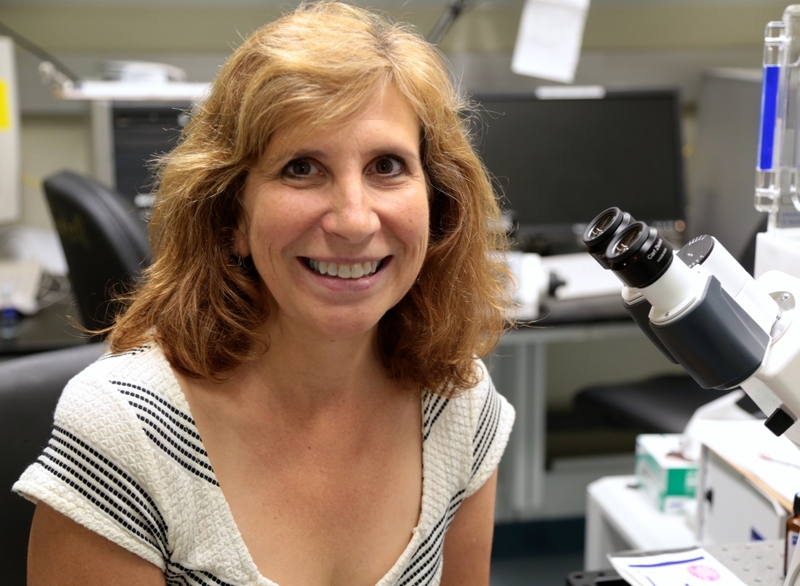 Montell, Duggan Professor of Molecular Cellular and Developmental Biology, and colleagues worked on three independent projects involving E-cadherin, a protein found in epithelial cells throughout the body. The researchers used fruit-fly ovaries to uncover the role played by E-cadherin in collective cell migration. Their findings are reported today in the journal Cell. One researcher studied the interaction between the lead cell and the following cells; hence, the sled-dog analogy. The lead cell is tethered by E-caderin to other cells in the cluster and pulls them in the proper direction in the same way the lead sled dog guides its team. While E-cadherin is distributed throughout the cell cluster, the lead cell — determined by the strong force of E-cadherin that causes the cell to protrude in the direction of the movement — can communicate with the side and rear cells and prohibit them from protruding. 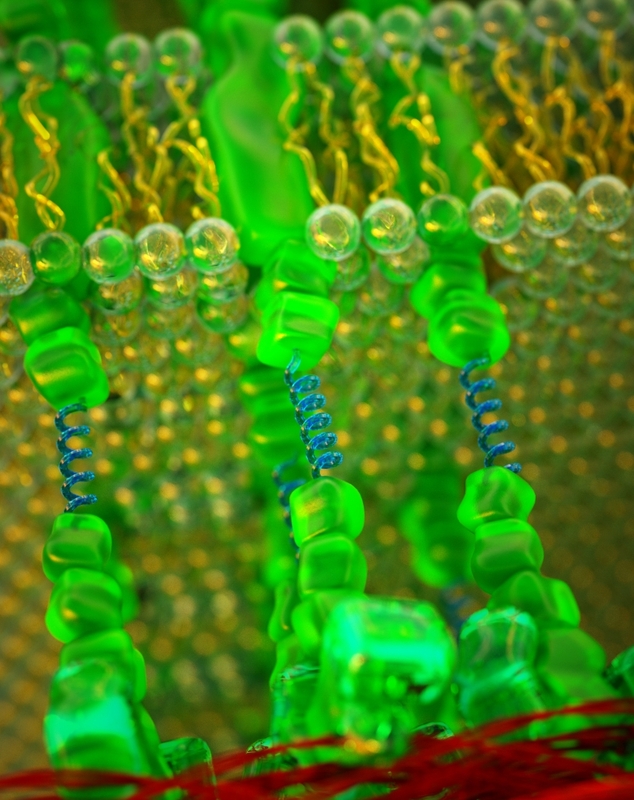 This creates a front and back to the entire cluster of cells. Lead author Danfeng Cai, a graduate student in the Denise Montell Lab, suppressed cadherin in different cell types and analyzed the visible guidance defects by making movies of the migrating cells. When cells lacked E-cadherin, they were unable to migrate as an organized group, and the direction of their movement was random and irregular. Another member of the research team designed an optical sensor of mechanical tension — a kind of microscopic spring — and inserted it into the cadherin protein. This enabled the measurement of force on the E-cadherin molecules. The results showed that even though the distribution of the protein was uniform, the force per molecule was stronger at the front. “It’s kind of amazing that you can make that measurement in living cells,” Montell said. In addition to highlighting E-cadherin’s role in cell migration, the paper introduces new experimental tools the team used to probe and analyze E-cadherin in living tissue, the first being the optical sensor of mechanical tension. The researchers found that E-cadherin molecules implanted with the sensor were fully functional. This allowed them to generate transgenic flies containing only E-cadherin molecules with optical sensors. A second tool Montell’s team developed and reported for the first time is morphodynamic profiling. This quantitative approach allowed the researchers to compare changing cell morphologies over time between different genotypes. Data from the cell movement imaging were mathematically translated into graphs showing cell protrusion and retraction velocities at different points in time. An analysis of 26 parameters showed that the E-cadherin and the chemoattractant receptors thought to be the guiding cell movement had statistically indistinguishable phenotypes, indicating that E-cadherin and the classic guidance receptors function in the same pathway. “E-cadherin is serving multiple purposes,” Montell concluded, “all of which function together to coordinate the collective ability of these cells to sense direction. Our work demonstrates three completely different approaches that all show the same result.” While E-cadherin serves different functions in different subcellular locations, it appears to drive cohesive cell migration, an entirely new role for this much-studied molecule.